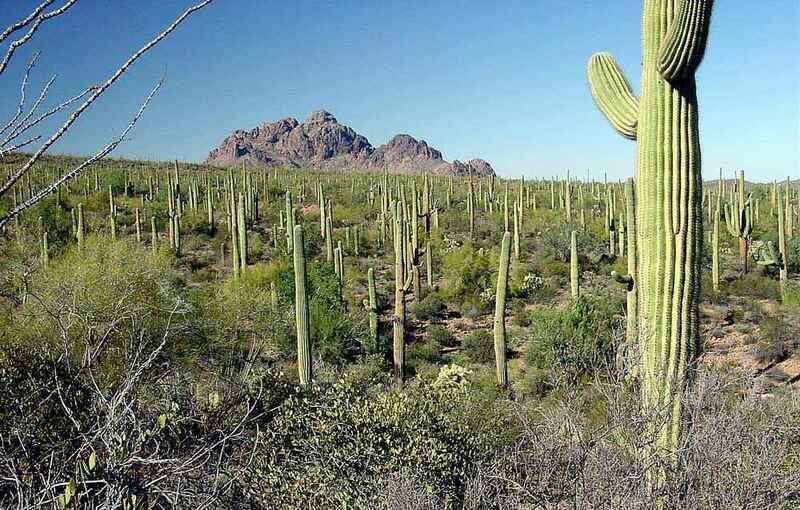 Nearly all of the arborescent cacti in North America occur in tropical communities, with some extending their ranges into the Sonoran Desert. 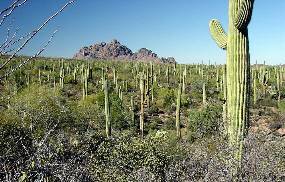 In contrast, the saguaro is primarily a Sonoran Desert species; it reaches its greatest size and density there. 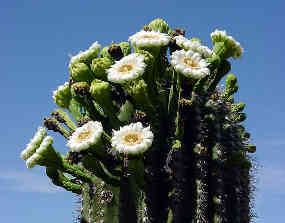 It is the most cold tolerant of the arborescent cacti and ranges much farther north than any other. 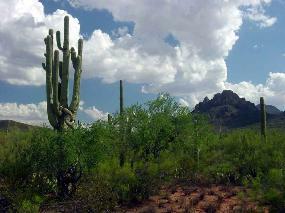 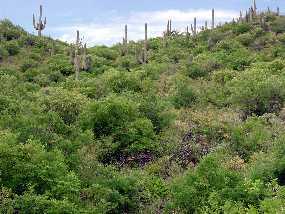 The range of saguaro extends southward into thornscrub until it apparently cannot compete with the dense vegetation. 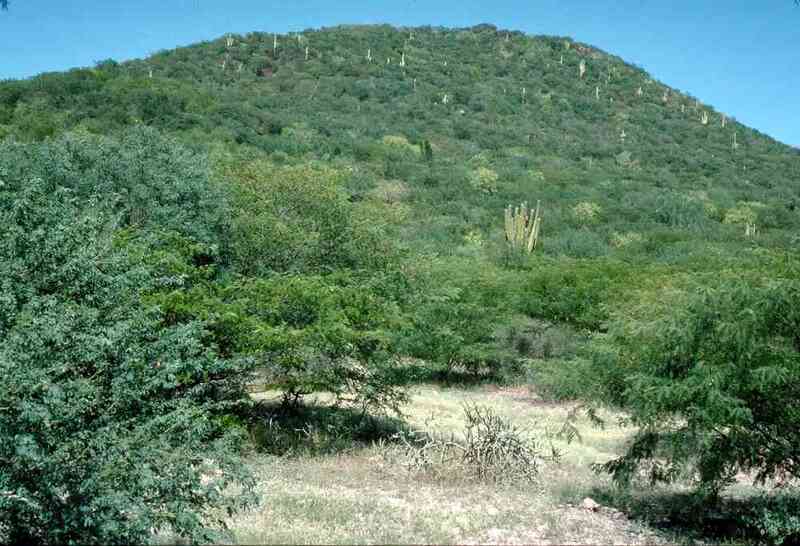 One of the southernmost populations is on Cerro Prieto a few miles east of Navojoa, Sonora on the road to Alamos. 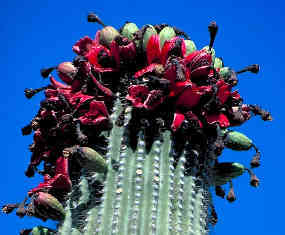 Here they mix with Stenocereus thurberi and Pachycereus pecten-aboriginum. There is one known more southerly population just across the state border in Sinaloa.